This Adjustable Cabinet Helper is perfect for storing any number of kitchen items from pots and pans to cutting boards and cups. It features 3 adjustable shelves to maximize storage capacity and customization. A larger design makes it perfect for base cabinets. Its PE coated steel construction makes it sturdy enough to handle virtually any load. 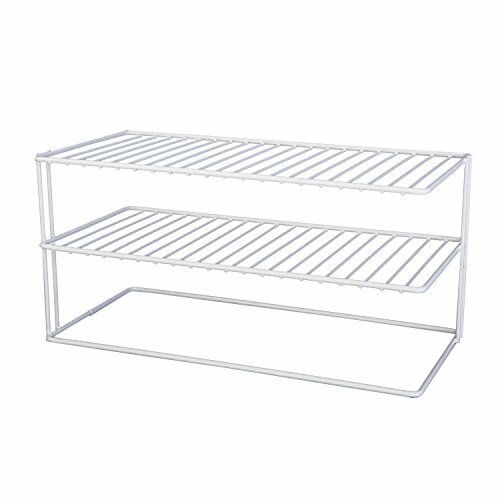 This Large Two Shelf Organizer provides 2 tiers of extra storage space. It is Ideal for use in a kitchen cabinet or pantry, for storing a variety of items. The organizer is made from sturdy steel and is PE coated white. This EXTRA large shelf creates extra storage space in a cabinet or pantry. 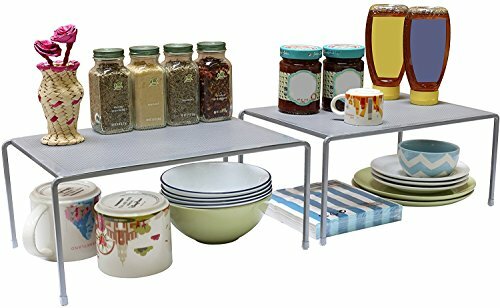 It is ideal for storing a variety of kitchen items including plates, bowls, mugs, canned goods, jars, etc.. 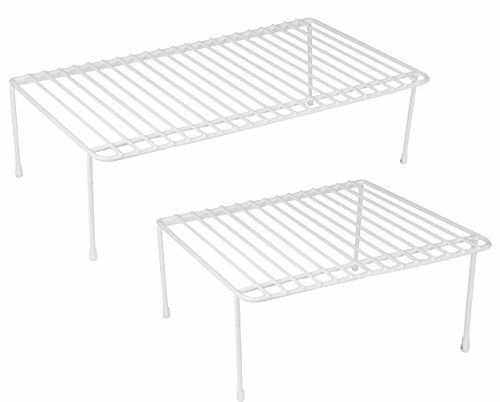 The shelf is made from sturdy steel and is PE coated white. 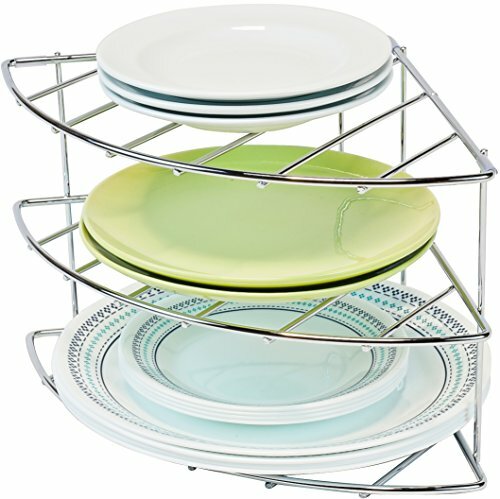 DecoBros Corner Shelf has 3 tiers holder to store different size pan in your cabinet. This expandable shelf makes a great addition to any kitchen. Adjustable length conforms to any size up to 30" wide. Durable steel build is appealing. Provide more space on your counter or pantry shelf. 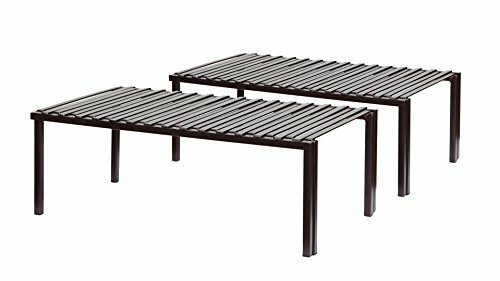 Each leg has rubber mat Specification: -Brand Name: STORAGE MANIAC -SKU: STM1102000021 -Assembly Size: 15.74 to 30 x 9.39 x 5.69 inches -Package Size: 42.8 x 17.6 x 25 inches -Package Weight: 7.25 lbs -Frame: Steel Cleaning and Maintenance: Product can be cleaned with damp cloth. About us: STORAGE MANIAC is a professional provider of various high quality home storage products, such as shoe rack, laundry hamper, closet system, drying racks, storage bins and cabinets, wash bags, and so on. All the products can help you make best use of your space, keeping your home in tidy and in order! With innovative design and sophisticated styling, STORAGE MANIAC makes itself a welcome and useful addition to any home. STORAGE MANIAC will supply you with the means to a brighter and more efficient tomorrow. The Organized Living Medium Cabinet Shelf puts extra storage in all the right places. It's a simple way to instantly double vertical space in kitchen pantries, cabinets and on countertops. The tight grate design prevents smaller items from toppling over. 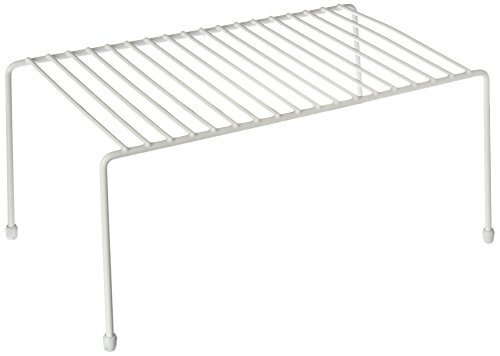 Strong and sturdy, this wire shelving is made of steel so it won't bend or sag with extra weight. Feel free to store plates, bowls, mugs, canned goods and other heavy food jars. 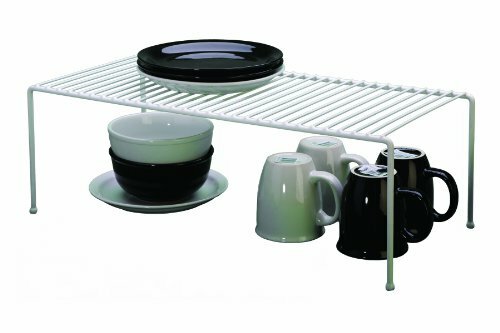 The DAZZ Kitchen Storage Shelf is the perfect item to help maximize cabinet space and organize your kitchen. 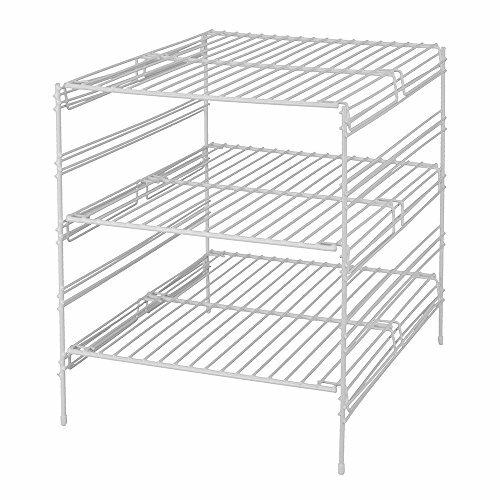 The shelf is medium sized and can store plates, cups, kitchen linens, and other kitchen items. The shelf makes use of the wasted space in cabinets by creating two levels of storage; on the shelf, and underneath the shelf. Designed with plastic feet that protect cabinets, countertops and other surfaces against scratches and nicks. Ideal home storage solution for kitchen cabinets, pantries, craft closets, bathroom cabinets. The white rust proof PE finish keeps the shelf sturdy and protected from rust and other corrosives. 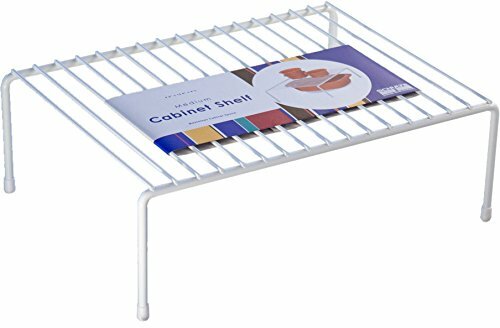 Looking for more Helper Shelf Cabinet Organizer similar ideas? Try to explore these searches: Garden Fence Post, Parker Place Collection Pendant, and Elkay Farmhouse Sink.